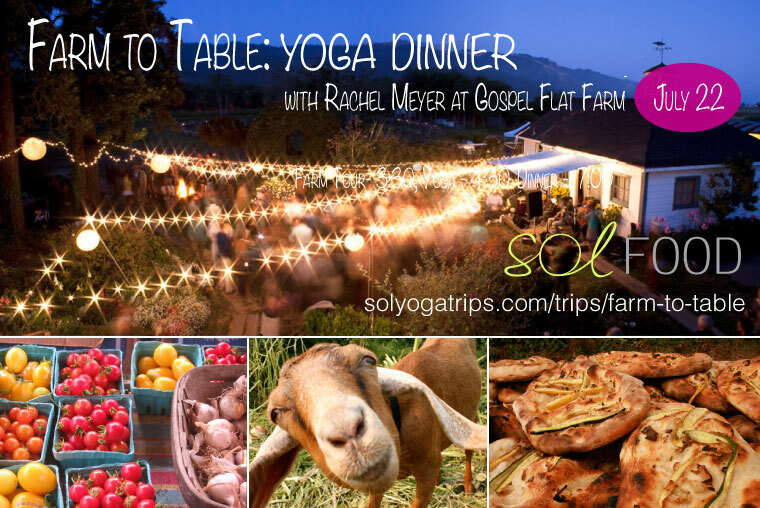 Will you have dinner with me and Solyoga Trips next Sunday evening the 22nd? Say, after spending the afternoon touring a sweet Bolinas organic family farm, practicing yoga together in a barn-turned-art-studio, and rounding out the day with a stellar massage? All content © 2011 - 2019 by Rachel Meyer. Writer. Urban yogi. Cool chick.